Memorial Services for Virginia A. Venem, will be held at 10:00 A.M. on Saturday, April 13 at Trinity Lutheran Church in Albert Lea, MN. The Reverend Eileen Woyen will officiate. Friends may visit with family one hour before the service at the church. Bonnerup Funeral Service is assisting the family. 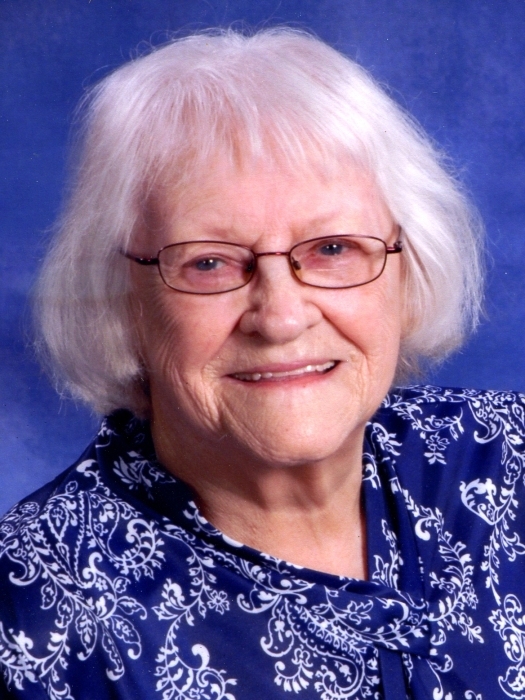 Virginia died on Thursday, April 4, at St. John’s Lutheran Community -Fountain Lake. She was 98. She was born on May 30, 1920 in Rocky Ford, CO, the daughter of Holger F. and Hilda M. (Hansen) Frandsen. She was united in marriage to Harold Venem on June 28, 1942 at Trinity Lutheran Church and they made Albert Lea their home during and after World War II. They moved to Fosston, MN, in 1952, and settled in Moorhead, MN, in 1955. Virginia moved back to Albert Lea in 1987 after her husband’s death. Virginia had her own beauty shop from 1939- 1952. She had been active at Trinity Lutheran Church where she taught Sunday School, Vacation Bible School, Thursday Bible School Class and enjoyed circle. She was a member of the VFW and DAV Auxiliaries. She enjoyed sewing, crocheting, counted cross stitch and a bit of traveling. She is survived by sons Robert Venem of Fargo, ND, Rodney (Christine) Venem of La Vergne, TN; granddaughter Jessica Lee Venem of La Vergne, TN; nephew: Donald (Cindy) Westland of Albert Lea; nieces Lois (Dave) Abell of Montana and Lucy (Mike) Segesky of Minnetonka, MN; and brother-in-law Elroy Madson of Minnetonka, MN. She was preceded in death by her husband, her parents Holger and Hilda Frandsen, sisters: Lois Frandsen, Alta Mae Madsen and Doris Westland and her husband Carroll.